This website contains images, descriptions of species and details of distribution and habitat of 295 described species or undescribed morphotypes (at or near the species level) of thyridid moths (Superfamily Thyridoidea). These taxa are either known to occur on Borneo or have distributions which suggest they do occur but have not yet been detected. As a visual guide we hope that this site will encourage study of this obscure but interesting group of moths, which are hardly known outside a handful of museums. This work is not intended as a taxonomic monograph. There are no formal descriptions of species or revisions of genera. 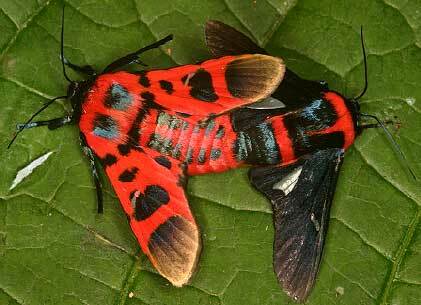 It is simply intended to aid field workers to separate thyridid moths at the genus and species levels, and to 'open the door' for those who wish to explore this group of diverse and often beautiful insects, the ecology of which is almost entirely unknown. The website is being extended, through to 2017, to cover the pyralids (Superfamily Pyraloidea) of Borneo, of which we have images and details of 2,500+ named species or morphotypes. The diversity of this superfamily in Borneo is astonishing, and we hope to reveal them in all their remarkable diversity. Data on taxonomy, life history, distribution and other aspects for incorporation in this site are welcome. Please use the Feedback form (last Section of the Menu).